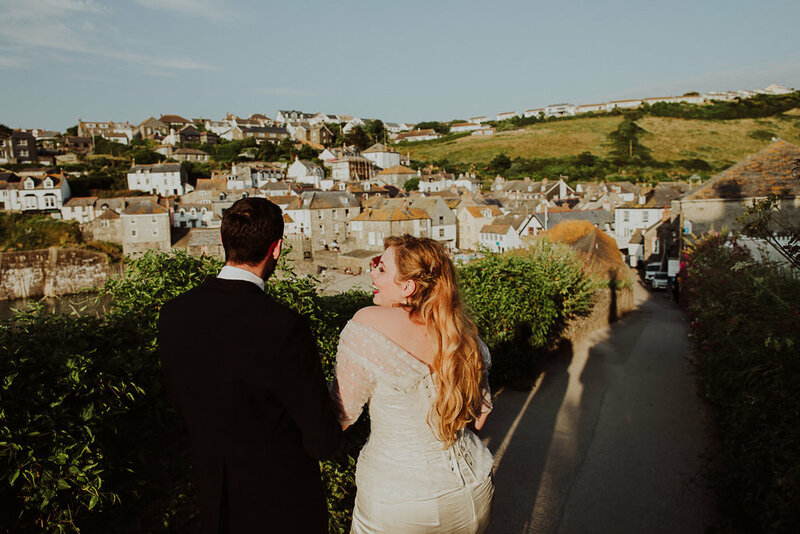 I've been spending a fair bit over the border from Devon photographing weddings in Cornwall recently, and what a pleasure it has been! 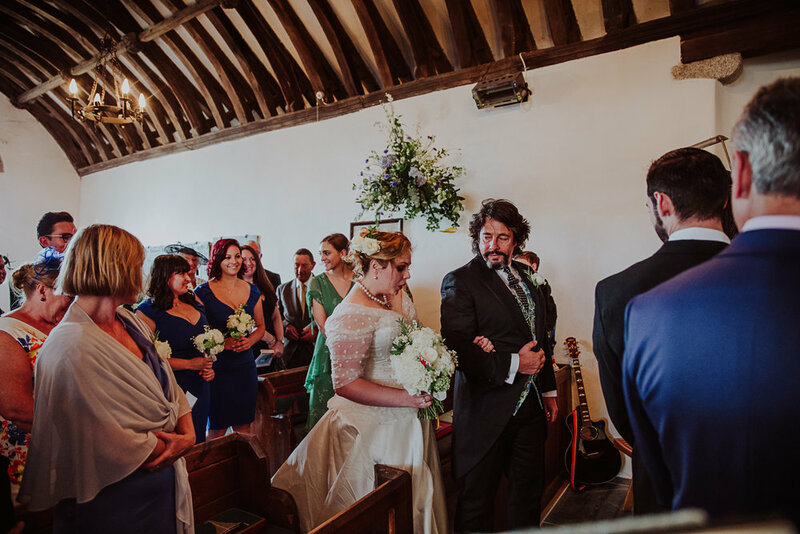 This time saw me heading to the beautiful North Coast of Cornwall to photograph the wedding of Cecile and Dan in the tiny, teeny church at St Michael's Rock in Porthilly. 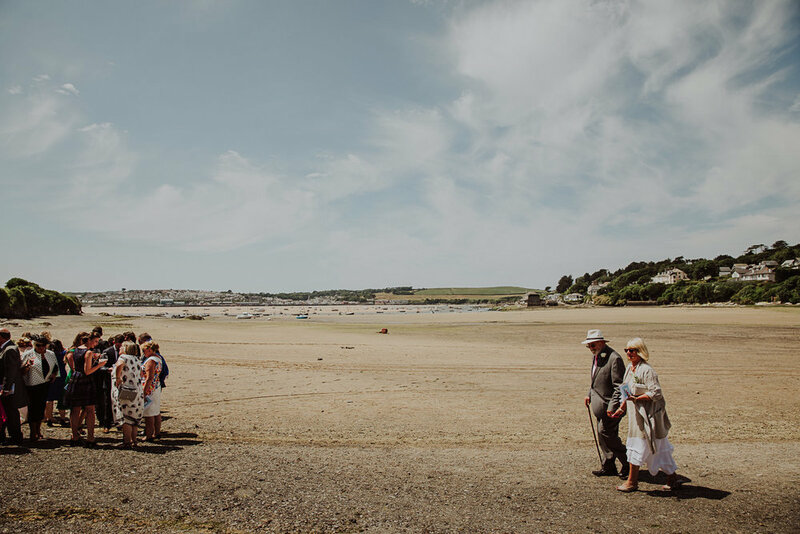 Like something straight out of Poldark, St Michael's Church is perched in a corner of the beautiful estuary stretching out towards Rock and Padstow. 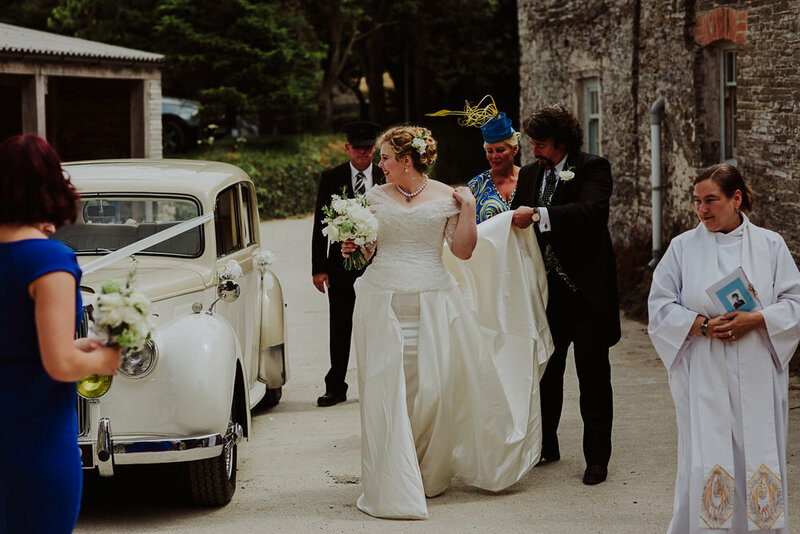 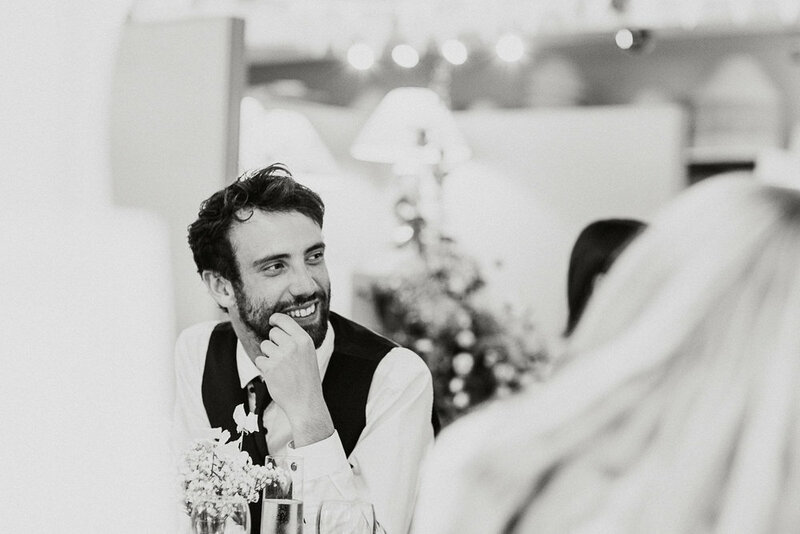 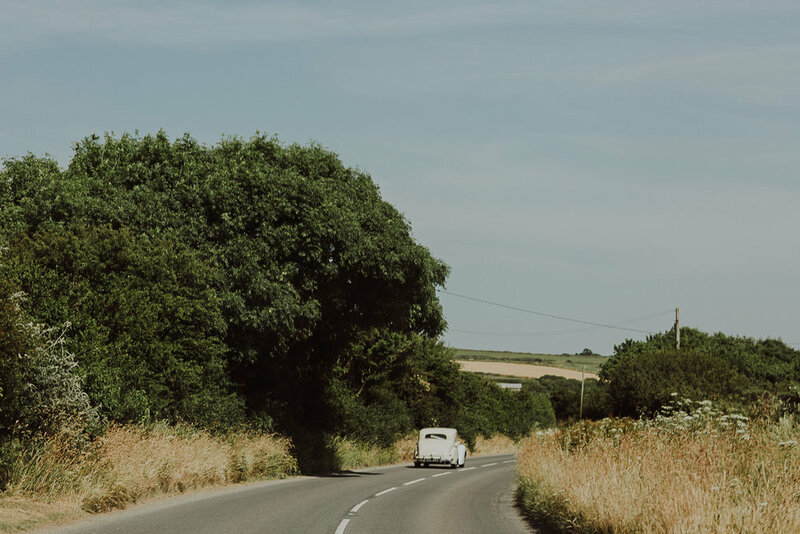 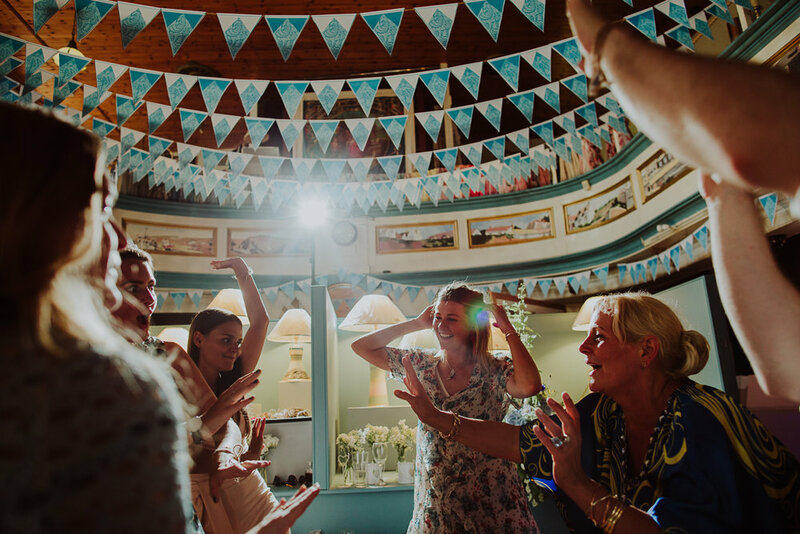 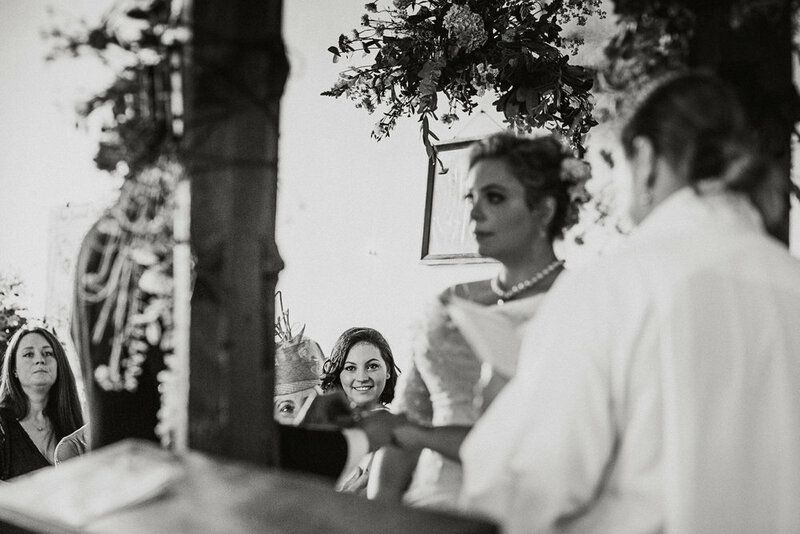 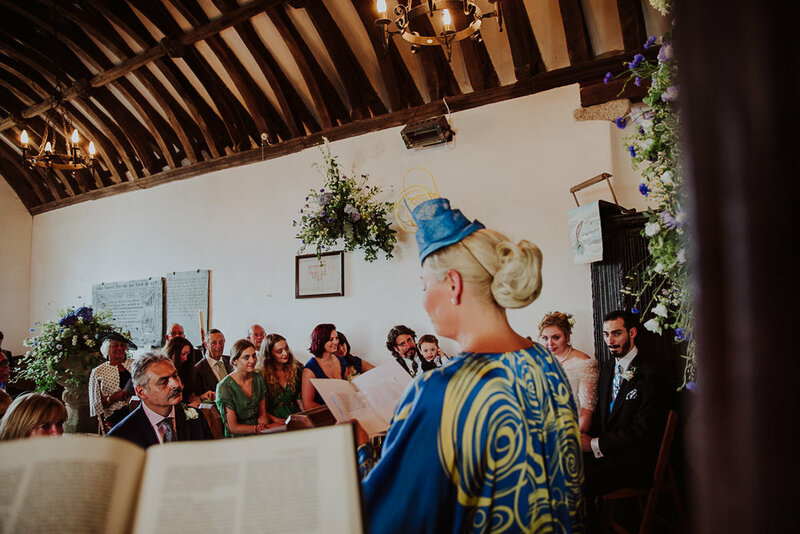 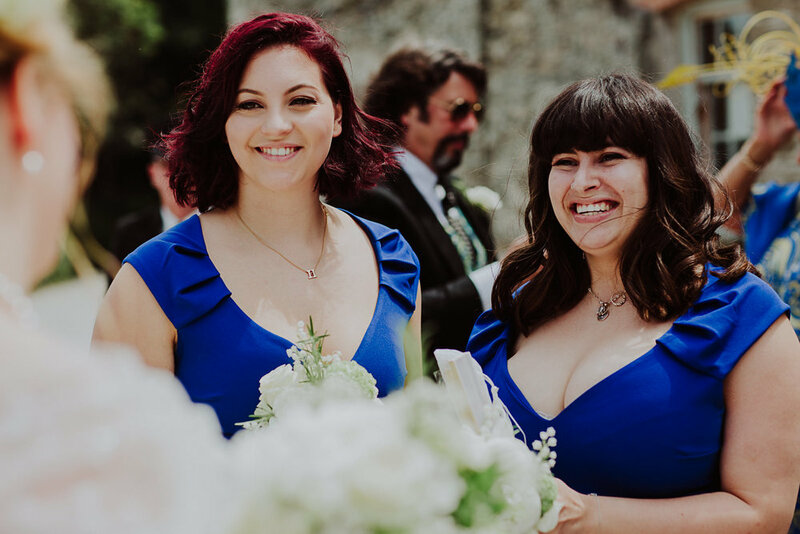 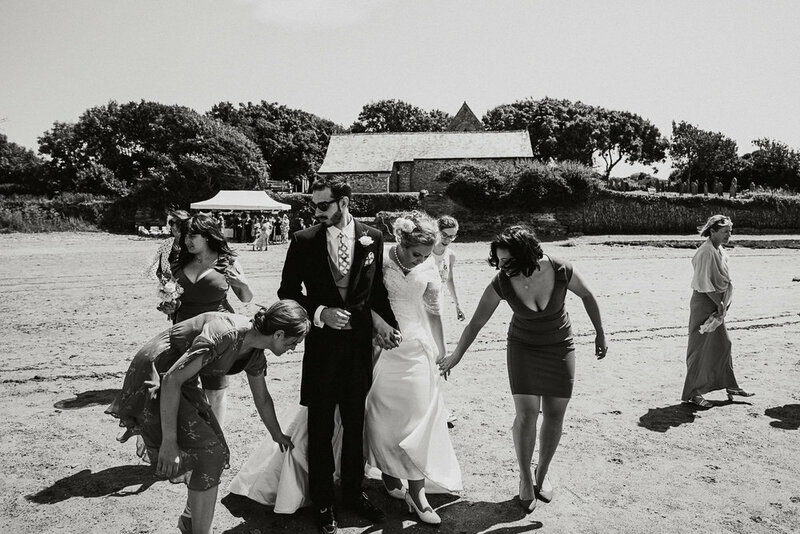 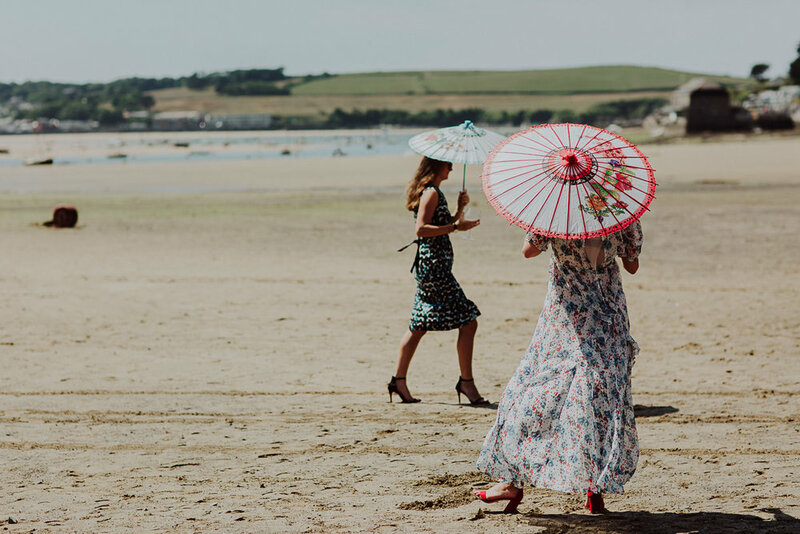 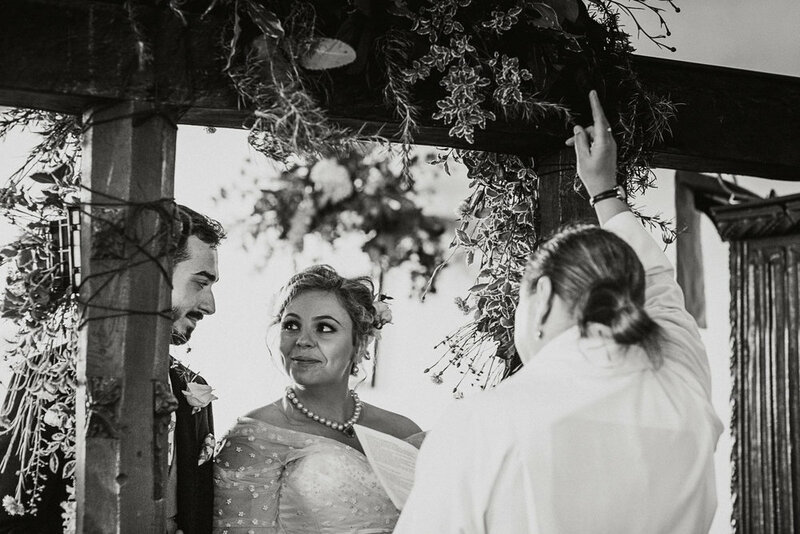 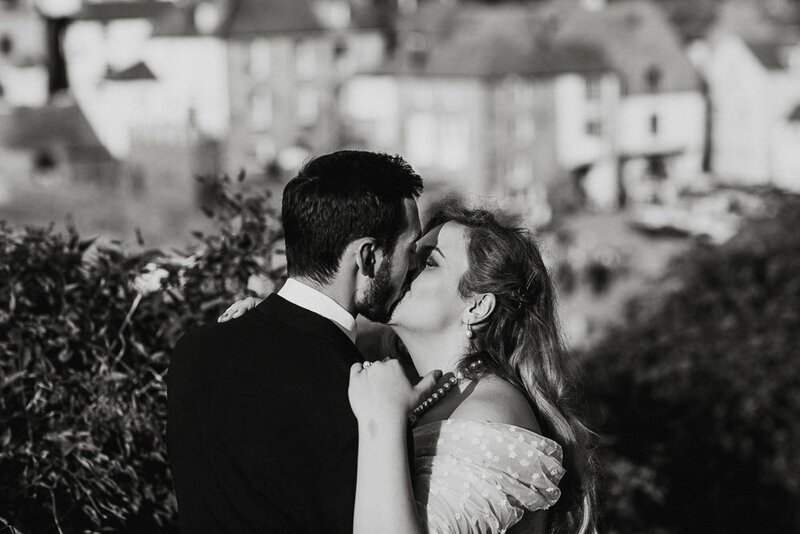 It was an intimate ceremony with lots of happy tears, followed by Pimms on the estuary beach - the usually inclement Cornish weather giving way to what has been one of the most glorious summers on record! 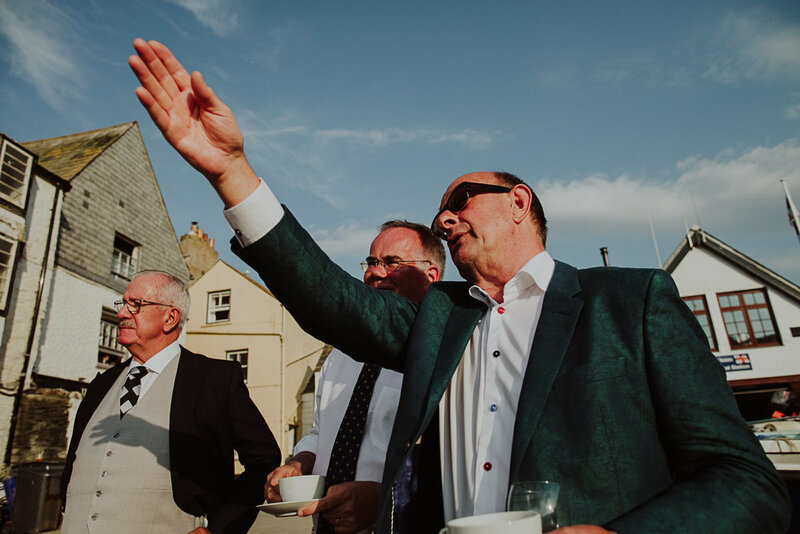 Afterwards we all headed to the Pottery Cafe at Port Isaac for the reception celebrations, it couldn't have been more perfect with a glorious sunset down on the Platt at Port Isaac followed by some serious partying. 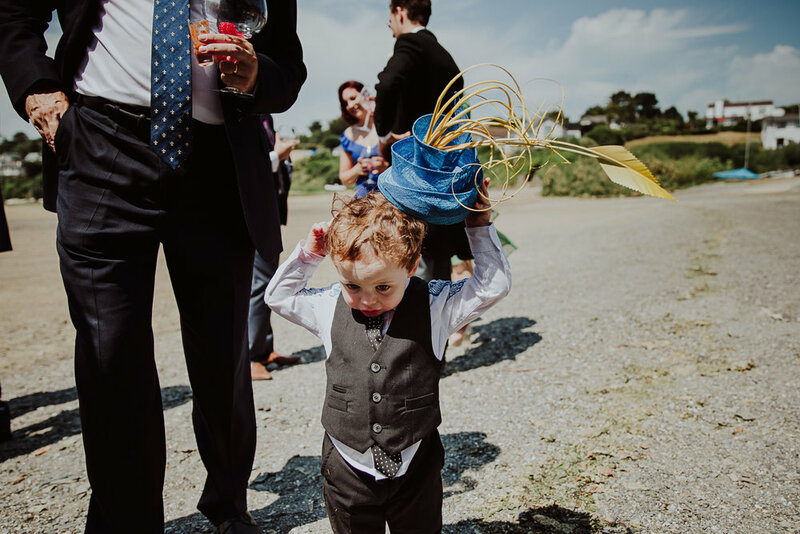 Highlights included: Cecile & Dan's son, Albie and his rather fine shirt; the beautiful estuary setting; the many (happy) tears - so prolific that Cecile's dad dubbed it "the wettest wedding" he'd been to; wine in tea-cups on the Platt; the weather being warm enough for guests to have a paddle; the AMAZING food; Dan and Cecile's wonderfully warm and welcoming nature - oh, and all that dancing! 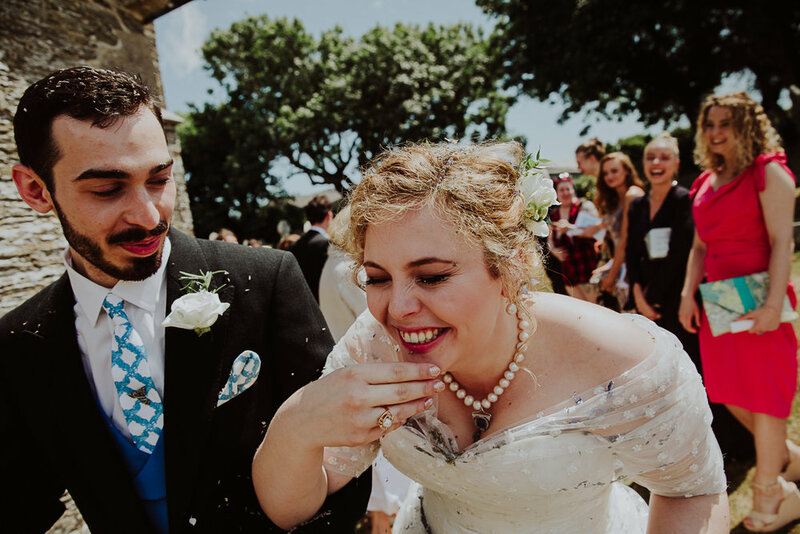 Dan, Cecile (& Albie) wishing you the very happiest of married lives together - your wedding was a joy to photograph, congratulations!